Celebrating New Year’s Eve in Mexico this year? You’re in luck! 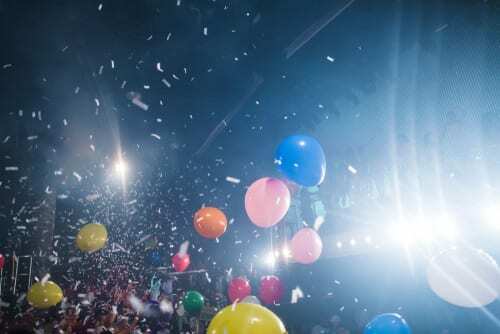 Whether you’re in Playa del Carmen, Cabo San Lucas, or Puerto Vallarta, we’ve got some of the best parties to ring in the new year on this list. Check them all out below! Coco Bong Club is one of the very best places to celebrate New Year’s Eve in Mexico. You’ve probably seen ads for this club everywhere, and it is an especially popular place to ring in the new year. While many categorize it as a dance club, it is actually more of an experience. There is a show from 11 PM that lasts until 3:15 am, and they put on one of the biggest parties in Playa del Carmen for New Year’s Eve. For an authentic New Year’s Eve in Mexico experience, read on: 5th Avenue is where most of the people in Playa del Carmen will be headed to ring in the new year. We suggest making at least a stop at El Tigre Bar on 10th Avenue between 2nd Street and 4th Street. The new, upscale Mexican style cantina bar is located inside the Fives Downtown Hotel. Here you can toast to 2019 with mezcal and tequila in an authentically Mexican environment. Xoximilco is a truly unique Mexican attraction. I experienced this first hand a couple of years ago, and I can only imagine how wild the New Year’s Eve celebration gets! Jump on board a colorful gondola for a trip around the river, complete with Mexican food, tequila, and traditional Mexican live music including Mariachi bands and Marimba performers. The Office on the Beach is one of the best beach bars on Médano Beach in Cabo San Lucas. It’s a great place to enjoy a delicious seafood feast right in the sand, overlooking the gorgeous Sea of Cortez. In fact, the Office was the first palapa built on what is now Médano. 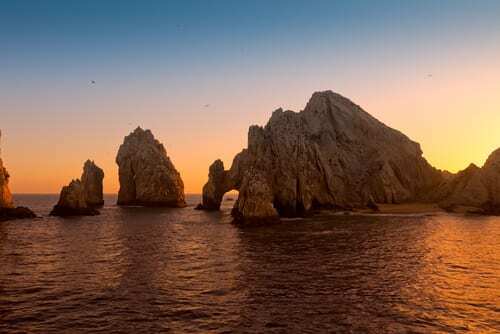 On New Year’s Eve, Médano Beach puts on the best fireworks show in all of Los Cabos, and at the office you’ll have a front row seat. Plus, they will have a special dinner menu for this night. The legendary Cabo Wabo Cantina is where all of the celebrities go when they are in Cabo San Lucas. Enjoy music by the house band “Santo Rojo” plus dinner, access to the club area, and more when you purchase a ticket. You can get one for $100/person here, or ask your Enchanted Travel expert to include these in your package. No matter what you do on New Year’s Eve in Puerto Vallarta, you should start your evening on Olas Atlas. Located in Puerto Vallarta’s Romantic Zone, Olas Atlas is a neighborhood street. On New Year’s Eve, the street closes around 9 PM and hosts a massive traditional street party. This truly unique and authentic Mexican experience is something that you will never forget. Make a stop or spend your whole evening in Garbo Piano Bar, or any of the other lively bars in the Romantic Zone Olas Atlas. Though it may get a bit crowded on New Year’s Eve night, the Malecón is one of the best places to ring in 2019. If you are coming from Olas Atlas, you’ll pass a popular bridge as you make your way to the Malecón. This is a great place to get an Instagram-worthy photo for your feed! Coming off the bridge and entering the general area of the Malecón, you’ll start seeing more people, tons of food carts selling everything from tamales to crepes to hot dogs, and more. Just a ways further from the Malecón you’ll find Los Arcos, or more formally, Los Arcos de Malecón. There is always something happening in the Los Arcos Theater and the town square at Our Lady of Guadalupe, and the street festival for New Year’s Eve will be in full force here! To book your own New Year’s Eve in Mexico, call us today at 402-281-3022.